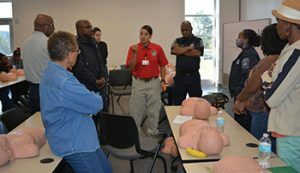 Clayton County Fire & Emergency Services offers CPR Certification Classes for the general public throughout the year. The intent of these classes is to provide citizens with basic knowledge and the skills to apply during a cardiac emergency, before emergency personnel arrive. This “Heartsaver CPR with AED Course” provides training to be administered on adults only. This class does NOT cover first aid and does NOT include CPR on infants/children. The class will begin at 9:00 AM and will last about four hours, including a skills verification portion. Class space is limited; therefore, preregister by entering your information in the fields below. There is a cost for this certification. Due to an increase by the American Heart Association the cost of the class has changed, and is now $40 cash or money order only, payable the day of class. Seniors 65 years or older with valid ID are $30 cash or money order only. NO debit/credit cards or personal checks are accepted. 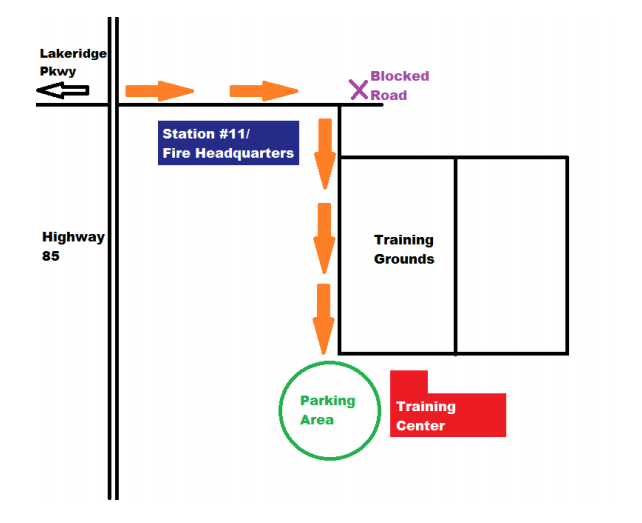 We are located at 7810 Highway 85, Riverdale, GA 30274 – behind the HQ/Station 11 buildings. See map below. Please review our CPR/AED Admissions Policy for important details. Thanks for your interest! Friday, May 31, 2019 Saturday, April 20, 2019 - SPECIAL TIME: 2 P.M.